Let’s hear a great big Texas welcome for Radar 540 in the San Antonio area. He’s now the newest member of the Texas Preppers Network and looks forward to sharing ideas and information with everyone. Those of you wishing to contact him directly can email him at Radar540@aol.com. Welcome to the Texas Preppers Network! 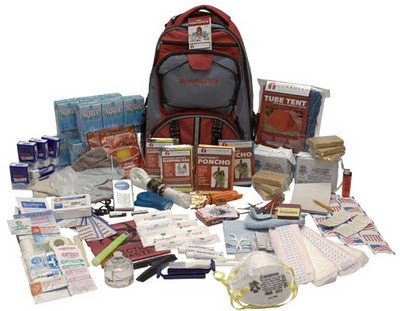 The simple act of being prepared with a 72 hour emergency kit will place you in the position of being prepared way more than the average person. The first three days in an emergency or crisis are critical to your survival. In an effort to help people be more prepared, there is a Holiday Special on Stealth Survival that gives you a chance to win a free Guardian Deluxe 2 Person Kit. Please visit Stealth Survival and enter for a chance to win a great preparedness item. Have a safe and happy holiday from the Texas Preppers Network! Meant to post this a yesterday. It may be woo woo but worth the time. Probably only be up for a day or so.